With its combination of risk and finance modules, including specialist insurance modules rarely offered on similar courses, this MSc will open up career options across the finance and insurance sectors. You’ll gain an advanced understanding of finance, investment, risk taking and decision making as well as critical risk management skills. An increasingly uncertain financial world means there is growing demand for graduates with critical risk management skills as well as a through grounding in finance. Taught by leading researchers in risk taking, decision making and finance, this MSc will prepare you for a broad range of career paths. You could choose to use your skills in the financial sector, for example as a stockbroker, investment banker, financial analyst, risk manager or fund manager, or work for an insurance company. The course includes specialist modules in insurance and credit scoring rarely found on degrees of this type, so you can opt to develop your skills to progress in this growing sector. 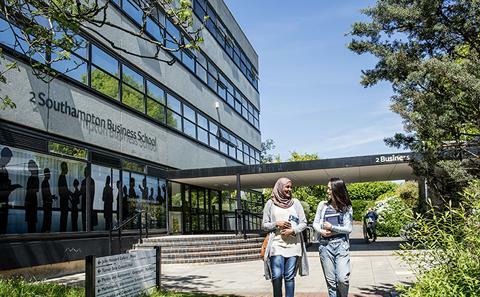 Informed by the Business School’s significant research strengths in banking, finance and risk management, the MSc in Risk and Finance will prepare you for a broad range of career paths. Your knowledge of key financial concepts, risk taking and decision making will be valuable within financial institutions. You’ll also be able to advance your career in the insurance sector. The course includes specialist modules in insurance and credit scoring not found on similar UK degrees, so you can choose to develop your skills in order to progress in this growing industry. This MSc is accredited by the Chartered Insurance Institute and the Institute of Risk Management. This demonstrates that we meet rigorous educational standards and also means you will be eligible for credits towards professional qualifications. We welcome applicants from a range of disciplines who have undertaken some quantitative study, or who have relevant professional experience. This is a full-time, one-year course. It is delivered through a mix of compulsory and optional taught modules over two semesters and a dissertation in the third semester. In semester one, the compulsory modules will introduce you to fundamental concepts in finance, risk management and the behavioural aspects of decision making in a finance environment. In the second semester, compulsory modules will deepen your understanding of risk taking, decision making and the management of financial risk. You’ll also take a module in quantitative and qualitative research methods in preparation for your dissertation. In both semesters you’ll have the opportunity to choose from a range of optional modules. You could take insurance-focused or finance-related modules in order to advance in a particular sector, or select a mix to broaden your career possibilities. Other optional modules cover stock market analysis, the theories and techniques of simulation modelling, advanced corporate finance and project risk management. With guidance from an academic supervisor, you will choose a dissertation topic to work on during semester three. This will enable you to specialise further in a particular area and put your research skills into practice. Professor Johnnie Johnson, who leads the Risk Taking and Decision Making module, is renowned for research into decision making in speculative markets. He uses his expertise to advise organisations operating in speculative financial markets. Professor Chris Chapman, who leads the Project Risk Management module, is an expert in risk and uncertainty management. He is the co-author, with colleague Professor Stephen Ward, of How to Manage Project Opportunity and Risk, which has become a leading text on the topic. Professor Taufiq Choudhry is a specialist in stock market volatility and uncertainty; in a recent paper he investigated the relationship between stock market volatility and the business cycle in four major economies – the US, Canada, Japan and the UK. He teaches the Introduction to Finance module. 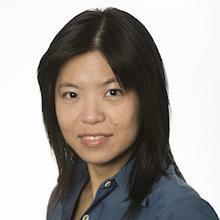 Research by Professor Ming-Chien Sung, who lectures on the Quantitative Methods module, aims to gain a better understanding of the factors that influence decision making in financial markets, and to improve real-world risk taking and decision making through the application of quantitative modelling. Module leaders regularly invite industry practitioners to share their insights with students, giving you up-to-date knowledge of sector issues. You’ll also be able to attend relevant seminars run by the University’s Centre for Risk Research as well as specialist finance-focused Business School events. These include talks by professionals from finance and insurance companies as well as leading researchers from other universities. Recent speakers have come from Zurich Insurance UK and Imperial College London. You’ll also benefit from our academics’ research links with business, which enable them to bring real-world examples to their teaching. Our industry research collaborations include projects with London Capital Group, Star Financial Systems Ltd and Huawei. Every year, professional risk managers and industry leaders come to discuss careers in the sector with our students. They include representatives from IBM, Goldman Sachs, PwC, the Chartered Insurance Institute and Old Mutual. In partnership with IBM’s Academic Initiative, we regularly host guest lectures provided by IBM senior managers and facilitate IBM graduate opportunities for our students. Study the core aspects of finance, risk and decision making, plus specialist modules on insurance and credit scoring rarely found on similar programmes. Opens up a wide range of career options in finance and insurance. Draws on the Business School’s research strengths in banking, finance, and risk management. Accredited by the Chartered Insurance Institute and Institute of Risk Management, enabling you to apply for credits towards professional qualifications. The course has shown me how to view and think of issues from a broader and more strategic horizon, which is what I value the most of this year academically. Acceptable subjects: A wide range of subjects accepted in Business, Economics, Science and Engineering. Required module areas: Evidence of quantitative study e.g. economics, finance, maths, management sciences or engineering. Other subjects considered if quantitative ability demonstrated at A levels. You should choose option modules totalling 15 CATS/7.5 ECTS per Semester. All option modules are offered subject to availability and timetabling constraints. Our graduates now work in a range of industries, such as banking, mutual and hedge funds, accountancy, insurance, IT, and many risk management and business security related companies across the financial and insurance-related sectors. You could choose to become a stockbroker, fund manager, risk officer, actuary, financial manager, financial analyst or investment banker. Or you might decide to continue your research at PhD level. You’ll learn through lectures, seminars and group work as well as private study. Our academics use a variety of teaching methods to help you apply theoretical concepts, and to develop essential transferable skills that will help you in your career, such as analytical, teamwork and communication skills. Assessment methods vary from module to module, but include exams, individual coursework and group assignments. Some modules will include practical computer work. You’ll learn to use industry-standard databases and software that will be useful for your CV, such as Bloomberg data, Excel programming tools and MATLAB risk analysis software. Depending on your choice of optional modules you may also learn the statistical package SPSS or SAS Enterprise Miner software. 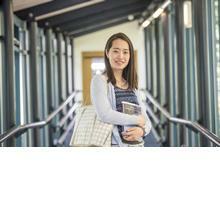 Every student is allocated a personal academic tutor who can advise on course-related topics. The programme leader is also available if you have queries about the course. In addition, the University provides a range of services, including learning support, health and welfare services. The Institute of Risk Management can also offer support for students’ dissertation research, for example by providing data or advice.